For the Trekkies out there, today is “First Contact Day,” which marks the day humans and Vulcans first made contact in Star Trek lore, and the director of the latest Trek film is celebrating in style. 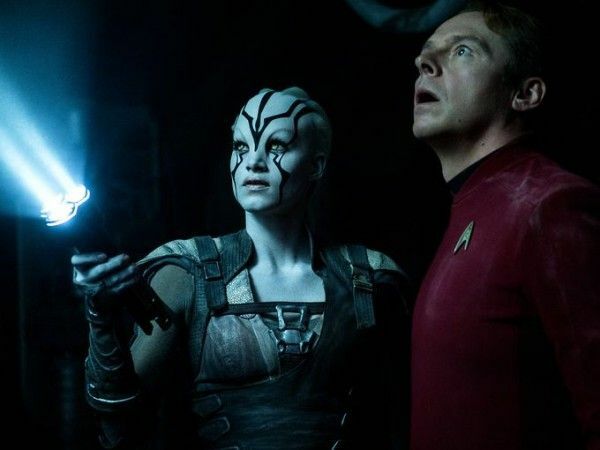 Justin Lin, who takes over the Trek franchise from J.J. Abrams and brings his Fast & Furious expertise to the table, has shared a behind-the-scenes image from the first day of filming Star Trek Beyond (which, in case you were wondering, has long since wrapped). Not only is this image notable because it gives us a look at a pair of alien beings from the new Trek film, but it also serves as a massive tease for an Easter Egg. Star Trek Beyond finds the crew on their five-year mission and brings Idris Elba into the fold as a villainous character, with Kingsman standout Sofia Boutella playing a new ally. Chris Pine, Zoe Saldana, Zachary Quinto, Simon Pegg, Karl Urban, John Cho, and Anton Yelchin also star as Lin works from a script penned by Pegg and Doug Jung. Star Trek Beyond opens in theaters on July 22nd.